One of the frequently asked questions about ASP.NET MVC is that how is different from ASP.NET WebForms. 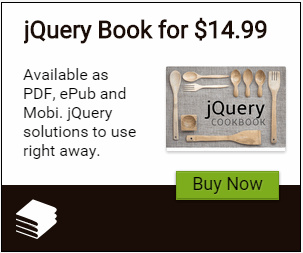 Is ASP.NET MVC a replacement for WebForms. The View is called before the Controller. Controller renders View based on actions as a result of the User Interactions on the UI. At its core, you ‘cannot’ test your controller without instantiating a View. There are ways to get around it using tools. At its core, ASP.NET MVC was designed to make test-driven development easier. You ‘can’ test your Controller without instantiating a View and carry out unit-tests without having to run the controllers in an ASP.NET process. WebForms supports an event-driven programming style that is like Windows applications and is abstracted from the user. The State management is made transparent by using sessions, viewstate etc. In the process, the HTML output is not clean making it difficult to manage later. The ViewState also increases your page size. In ASP.NET MVC, the output is clean and you have full control over the rendered HTML. The orientation is towards building standard compliant pages and provides full control over the behavior of an application. WebForms can drastically reduce time while building up intranet and internet applications that use a lot of controls (drag and drop model). Although this is true for development, a lot of time is spent later to code around limitations. You lose the 'drag and drop' quick model of building your web applications. The focus is on control over the application behavior and test-driven development. The model is extensible and you do not have to spend time working around limitations. Relatively simple to learn and pickup. Works very well for developers who initially have trouble with the HTTP/HTML model and are coming from a similar WinForms oriented event model. 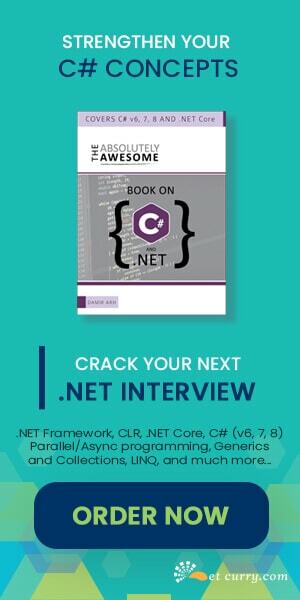 There is a learning curve to understand the why, when and how of ASP.NET MVC. Lesser amount of code is required to build webapps since a lot of components are integrated and provided out of the box. You can also use a lot of data controls provided out of the box that rely on ViewState. Since the application tasks are separated into different components, amount of code required is more. Since ASP.NET MVC does not use ViewState, you cannot use Data controls like GridView, Repeater. Hi it really helped me to learn the differences between those. Are there any good resources to learn ASP.NET MVC 2.0. I am very new to ASP.NET MVC. Can you please tell me how to create TreeView Dynamically at runtime with user input in ASP.NET MVC. where User should able to create Root, Parent and child nodes. User should be able to Add , edit, delete Nodes. I haven't use ASP.net MVC. But have worked on ASP.net webforms and Classic ASP 3.0. What I understand from this article, ASP.net MVC is some what similar to ASP Classic. So why they are going backward as it has its cons. It was a lear explination and well explained.